After the stress inflicted by Carmen in 1978 several of the Society’s officers decided that, come the AGM, it was time to step down and the exertions experienced in a hectic 1983 had a similar effect; Sally Thompson (Chairman), Jenny Swift (Secretary) and Dennis Gooch (Treasurer) did not seek re-election and their positions were taken by Brian Howard, Elizabeth Hill and Colin Sly respectively. Christine Spacey was then voted in as the new Business Manager with Jim Chilvers her assistant. Pam Hoskins and Philip Johnson had already been re-instated as the directing team and Ken Spencer was willing to make the set (aided by Ray Olden and Phil Dennis) and act as Stage Manager. 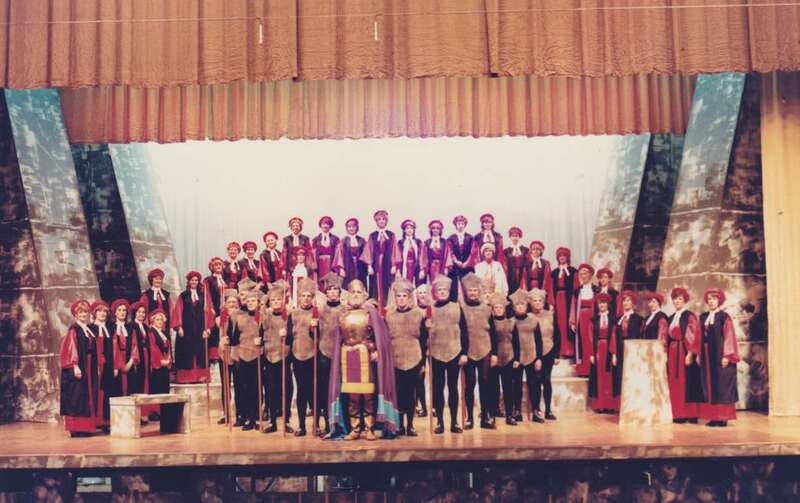 David Frost had complained that the City of Southampton Orchestra had been erratic in the last show, mainly due to the same players not being available every night, so his successor also had a problem to solve. The principals were cast in October and most parts also had a stand-in. Claire Rutter received the minor principal role of Chloe and a new tenor, Stephen Hill, was given Hilarion – another newcomer, David Jupp, was in the chorus. Jillian Charnley was cast as Ida and, when interviewed by The Echo, declared, ‘It’s the most beautiful singing part I’d always hoped to do but never thought I’d get it because I am not the tall person usually chosen.’ By December the costumes were causing a problem so the Chairman and PLO decided it wise to visit Grace Bound and see what her plans were to complete the task in time; this resulted in some costumes being hired. Both Radio Solent and Hospital Broadcasting requested to record one performance and Christine Spacey arranged an appearance on Southern Television. 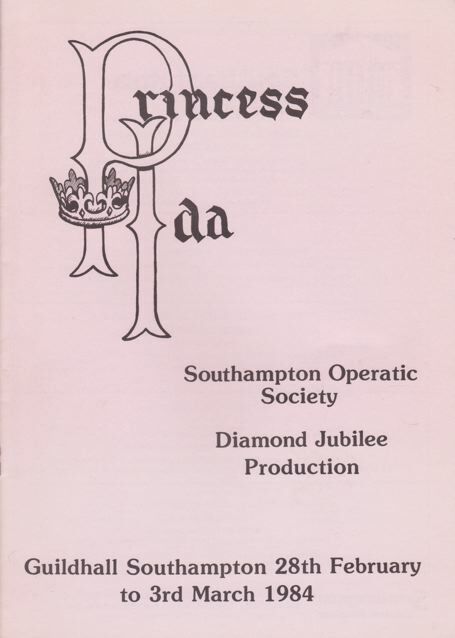 Ticket sales for Princess Ida were nearly £3000 down on The Mikado and the costumes cost over £1000 more, so a loss of £2184 was somewhat inevitable.